A bit like police officers, Automotive News Europes editors and reporters are never completely off duty. 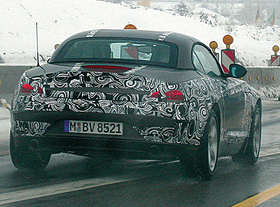 So when one of them spotted a disguised BMW Z4 on the autobahn between Munich and Stuttgart in December, journalistic instincts took over. After catching up with the car, the newshound snapped what he imagined might be a few useful spy shots of the soon-to-be-launched roadster. But being in just the first hour of a 1,300km journey back to the UK for the Christmas break, it was not until the following day that he got to a computer. Just before e-mailing the shots back to ANEs office, a quick Web search revealed that the official pictures of the car had been released to the media only hours earlier. One of those occasions when timing is, indeed, everything.